Methinks this would exercise their minds as much as mathematics." 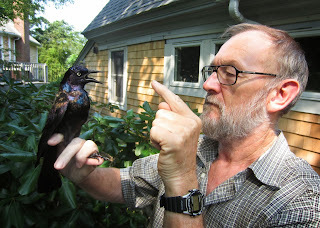 Last spring Richard Primack and I visited our friend and colleague Trevor Lloyd-Evans at Manomet Center for Conservation Sciences. For over 40 years researchers and volunteers have been banding birds at Manomet and have compiled an impressive dataset of migration dates at this beautiful coastal location. These unique records provide many details of the migration including first and mean arrival dates of particular species, population size, and morphological information such as mass and wing length. Members of the Primack lab have found these data incredibly useful for answering questions of how bird migrations have changed over time and in relation to warming temperatures (Miller-Rushing et al. 2008). At Manomet we met up with the creative team of Chedd-Angier Production Company, a group working with the Annenberg Foundation to develop educational videos that explore statistical concepts through real-life examples. They thought our research on bird arrivals at Manomet would be a good fit for the "Normal Curves" segment. When the number of captured birds of a given species is graphed over the course of a migration season a "normal curve" is created and this is an important tool for understanding migration patterns and changes. 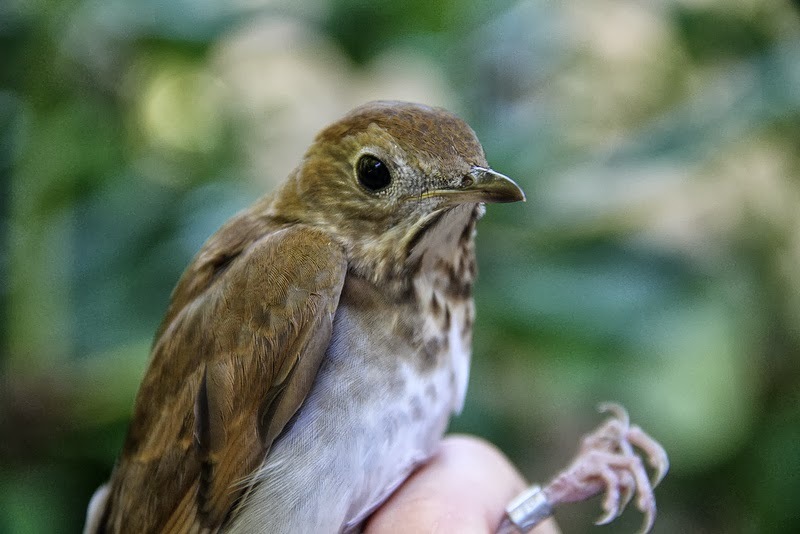 After a morning of banding, we spoke with them about how the analyses we do can answer questions about changes in bird migrations and populations, and how this is important for conservation efforts. Miller-Rushing, A. J., T. L. Lloyd-Evans, R. B. Primack, and P. Satzinger. 2008. Bird migration times, climate change, and declining population sizes. 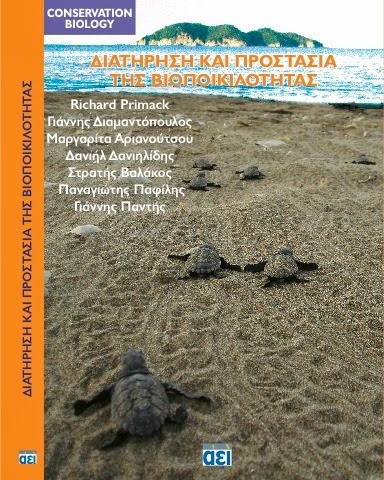 Global Change Biology 14: 1–14. On Saturday afternoon, I took a long, winding walk through Boston’s Arnold Arboretum with Richard Primack and BU undergraduates Christina Lupoli and Hilary Colbeth. It was a warm day, and I abandoned my coat at the car—it felt almost like the beginning of autumn, except that so many of the trees around us were bare. And that is precisely why we were there! 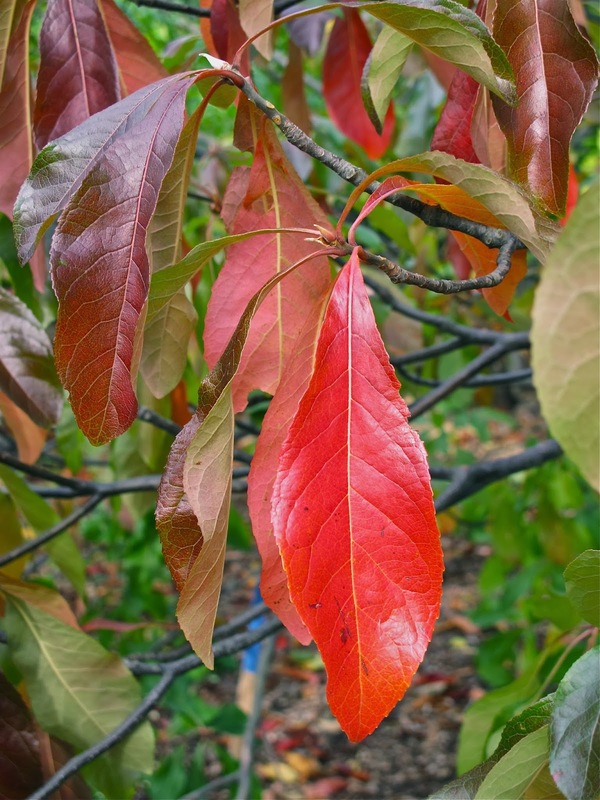 For the past two years, the Primack Lab has been monitoring leaf color change and drop of about 1000 woody species spanning across the Arnold Arboretum. We want to know what specifically drives plants to senesce, and how climate change might alter this significant annual process. Plants unfold their first leaves in the spring quickly in response to warm temperatures. 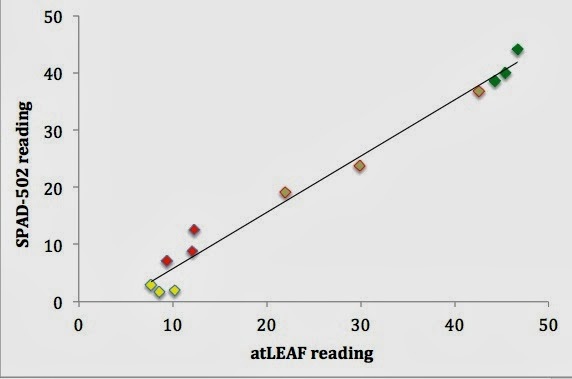 Spring leaf-out signals the start of the growing season, and triggers increases in carbon and nutrient uptake, evapotranspiration, microbial processes, and even insect activity! Autumn leaf senescence, on the other hand, marks the end of the growing season in New England. The drivers of autumn senescence, and variation in senescence timing between plant taxa are largely unknown. One unique way to approach this gap in the knowledge is through the extensive collections at the Arnold Arboretum! By monitoring broadly across species throughout the season, in multiple years and in several arboreta around the world, the Primack Lab and our partners aim to determine how phylogeny and geography affect the timing of leaf senescence across species. We know that plants leaf out earlier now than they did in Thoreau’s time, but how leaf senescence has changed remains a mystery. While Thoreau’s commitment to solitude was admirable, sometimes you have to leave your own little world and experience something new! Even Thoreau did embark from his beloved Concord for trips to other New England states, and occasionally even further afield. Last month I visited Thailand and Laos for the first time. The two countries were a striking contrast; Thailand is a vibrant and rapidly developing country, while Laos is considerably less developed, without as much obvious economic activity. 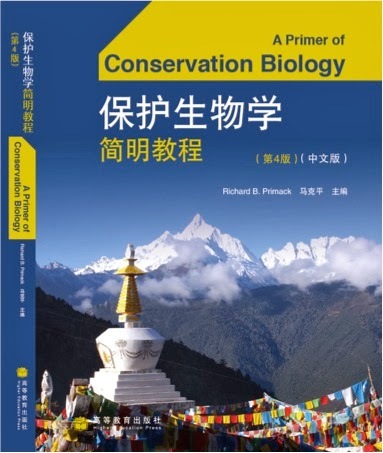 In both countries I met enthusiastic young wildlife ecologists who were eager to work with me to prepare conservation biology textbooks for their students. These books will be translations with local examples added in to increase their relevance. In both countries, some of the key topics being discussed are human-elephant conflicts, the impacts of new dams on fish populations, and ways to reduce poaching of endangered animals. The highlight of my trip was a visit to Khao Yai National Park, an outstanding park two hours outside of Bangkok with a large visitor center, extensive accommodations, many trails, and food stalls. Most importantly, the park had abundant wildlife; during my visit I observed pheasants, two species of gibbons, sambar deer, barking deer, civets, four species of hornbills, and porcupines. One afternoon I saw more than a dozen hornbills feeding on fruit trees at the edge of a forest. 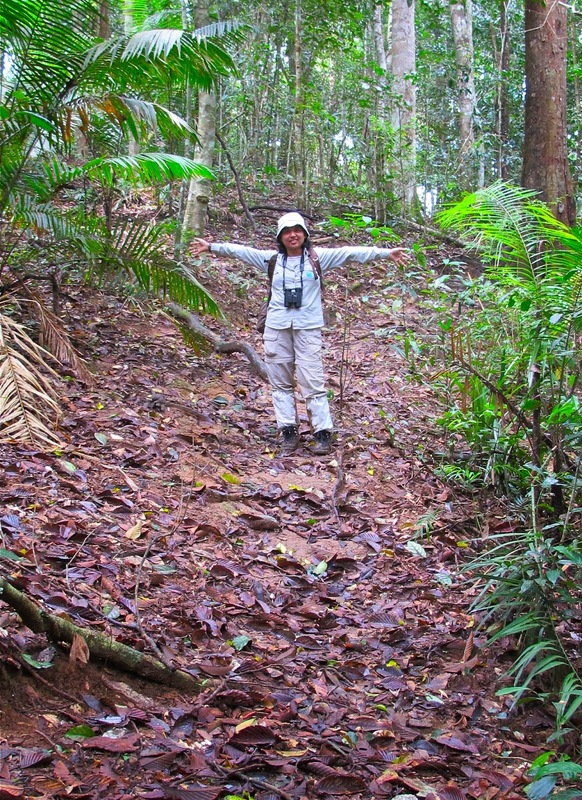 And while I did not get to see forest elephants, their fresh dropping and trails were common. This was the most wildlife I had ever seen in a national park in the tropics, and demonstrated how numerous and visible animal life can be without any hunting pressure. The rich biodiversity at Khao Yai National Park is an example of conservation in action that will make our Thai textbook practical and relevant to students studying conservation biology. Our research over the past 12 years has emphasized the effects of a warming climate on spring phenomena. As spring temperatures rise, flowering dates, leaf out times of trees, arrivals of migratory birds, and first flight times of butterflies all happen earlier. However, in order to understand the effects of climate change on temperate breeding and growing season length, we must also understand how climate affects autumn phenology. Autumn events like leaf senescence, bird departures, and insect diapause have been neglected in climate change research due to their perceived complexity, as species respond to a combination of variables including temperature, soil moisture, shortening day length, and even spring phenology. In coming years we plan to devote more time to investigating the effects of climate change on autumn phenology. Trees are already responding to a warming autumn climate, delaying when they change color and drop their leaves. Our work on ginkgo, cherry and mulberry trees in Japan demonstrates that their delay in autumn leaf senescence over the past 60 years is greater in number of days than their shift toward earlier flowering and leaf out times. 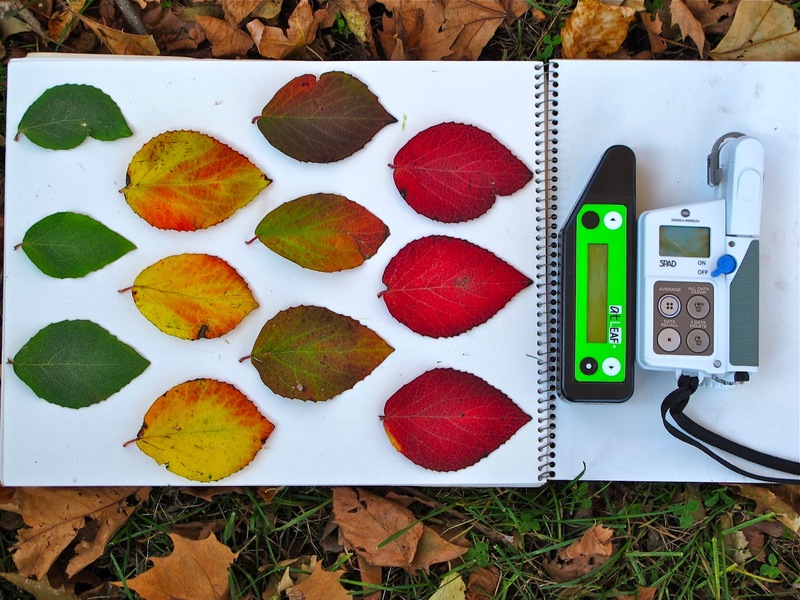 We are continuing this work in the Boston area through our investigations of the timing of leaf color change and drop using more than 1000 tree and shrub species at the Arnold Arboretum. We are also pursuing the question of how milder autumn weather affects the timing of autumn migration, when birds depart New England and fly south to their wintering grounds. Some bird species in North America and Europe are advancing their arrival dates, shifting their breeding season forward, and departing earlier in autumn. In contrast, other species are taking advantage of arriving earlier in spring by producing more broods, expanding the breeding season and departing later in autumn. We are currently investigating if this pattern holds up for New England. Stay tuned!